21. Status of National Environmental Action Programs in Central and Eastern Europe: Case Studies of Albania, Bulgaria, the Czech Republic, Croatia, Hungary, ... Romania, the Slovak Republic and Slovenia. Accompanying Francis Violich on walks through the mainland cities of Zadar, Split, and Dubrovnik and the offshore towns and villages of Bra, Hvar, Kor ula, and Pelješac, readers of The Bridge to Dalmatia have the opportunity to discover the cultural and historical meanings hidden in the Dalmatian coastal centers -- and to explore the importance of humanistic concerns in environmental design in general. The book engages readers in a process of interacting with the place and its residents, creating mental images and maps, and reading the environment intuitively. 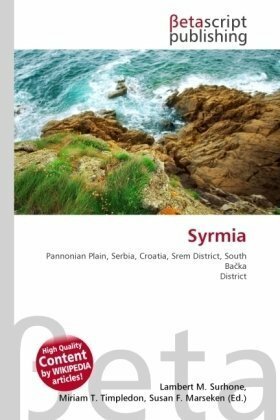 Using original plans, maps, and drawings, as well as Croatian historical writings and archival materials rarely known in English, Violich weaves together text and images in field studies of a dozen Croatian cities, towns, and villages as he examines how personal heritage is tied to geography and place. Step by step, moving through these locales, general readers and design professionals alike may explore the evolving nature of identity with place and discover how urban connectedness is achieved through awareness of environmental identity and spatial form. The book's approach is much like that of Kevin Lynch's pioneering work, Image of the City. Violich's "search for the meaning of place" begins with the strong environmental identity that his forebears felt with their places of origin on the islands and peninsulas of the Adriatic coast of Croatia. Although these forebears immigrated to San Francisco, they maintained a strong connection to places left behind. 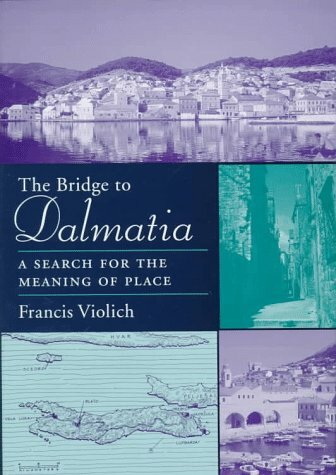 His family's strong roots -- which became his bridge from California to Dalmatia -- are the basis for Violich's theory of identity with place, which he based on direct experience of the form and content of this region.